Tajuddin Ahmad was the first prime minister of Bangladesh. Tajuddin Ahmad was born on 23 July 1925 at Kapasia in Gazipur, His father was Maulavi Muhammad Yasin Khan and Mother was Meherunnesa Khanam. Tajuddin Ahmad went to Saint Gregory High school. In 1944, Ahmed came 12th on the matriculation examination. In 1948, Tajuddin Ahmad was 4th the Higher Secondary Certificate Examination. 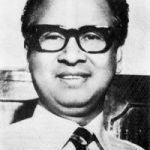 Tajuddin Ahmad served as the first Prime Minister of Bangladesh and led the war-time provisional government during the Bangladesh Liberation War in 1971. Tajuddin Ahmad died on 3 November, 1975. Second Prime Minister : 12 Jan. 1972 – 26 Jan. 1975, Sheikh Mujibur Rahman, Awami League. Third; 26 Jan. 1975 – 15 Aug. 1975, Muhammad Mansur Ali, Awami League. Muhammad Mansur Ali was born on 16 January, 1919 in Kuripara, Kazipur, Sirajganj. Mansur pursued his education in Kolkata Islamia College (now Maulana Azad College). Mansur Ali would pursue a MA degree in economics and law from the Aligarh Muslim University. 4th : 15 Apr. 1979 – 24 Mar. 1982, Shah Azizur Rahman, BNP. Shah Azizur Rahman was born on 23 Nov, 1925, and died in1988, was a Bangladeshi politician who was 4th Prime Minister of Bangladesh. Shah Azizur Rahman was born in Kushtia district of Bangladesh. Azizur Rahman received his Bachelor of arts degree in English Language and Literature from Kolkata University and went on to study at Dhaka University. 8 th: 12 Aug. 1989 – 6 Dec. 1990, Kazi Zafar Ahmed, Jatiya Party. Kazi Ahmed was born in 1939 in Cheora Chauddagram Upazila in Comilla. He was originally a student leader at the Dhaka University. Ahmed obtin M.A. degree in history from Dhaka University. Kazi Zafar Ahmed was 8th Prime Minister of Bangladesh. 9th: 20 Mar. 1991 – 30 Mar. 1996, Khaleda Zia, BNP. 1oth: 23 Jun. 1996 – 15 Jul. 2001, Sheikh Hasina, Awami League. 11th: 10 Oct. 2001 – 29 Oct. 2006, Khaleda Zia, BNP. Sheikh Hasina is the current prime minister of Bangladesh, She was as the premier of the country during Awami League first tenure from 23 Jun. 1996 to 15 Jul. 2001. For the second time, she was sworn as premier of the Bangladesh On Jan 6, 2009.